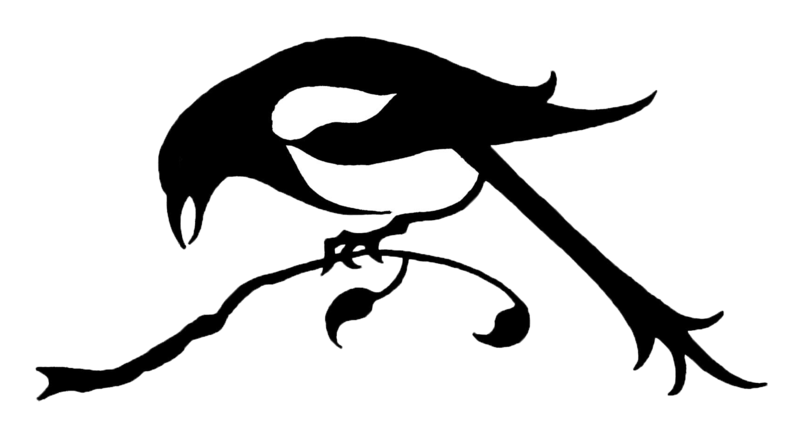 The Magpie Girl's Big Blog Giveaway! 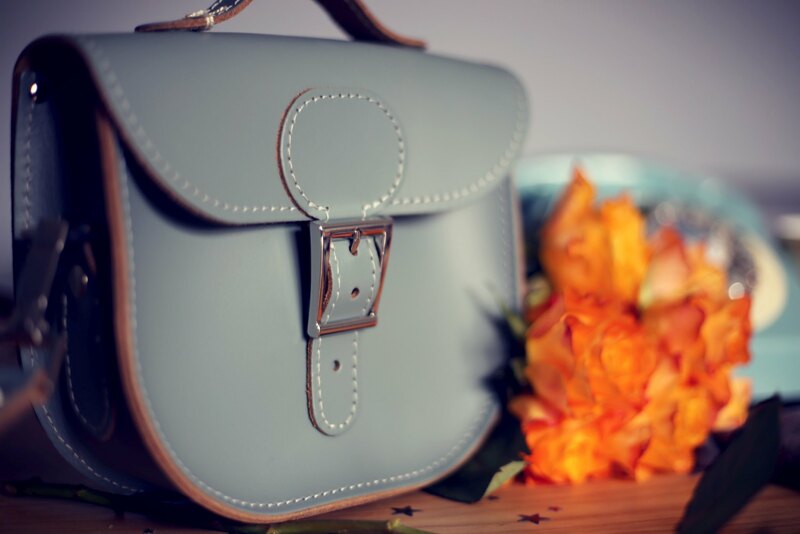 First prize you can get your hands on in this hamper of prizes is this gorgeous leather satchel bag c/o Brit Stitch, known as the half pint satchel in colour stormy sea. This super cute satchel is the perfect colour all year around and comes with a dinky little handle on top and long clip on strap. 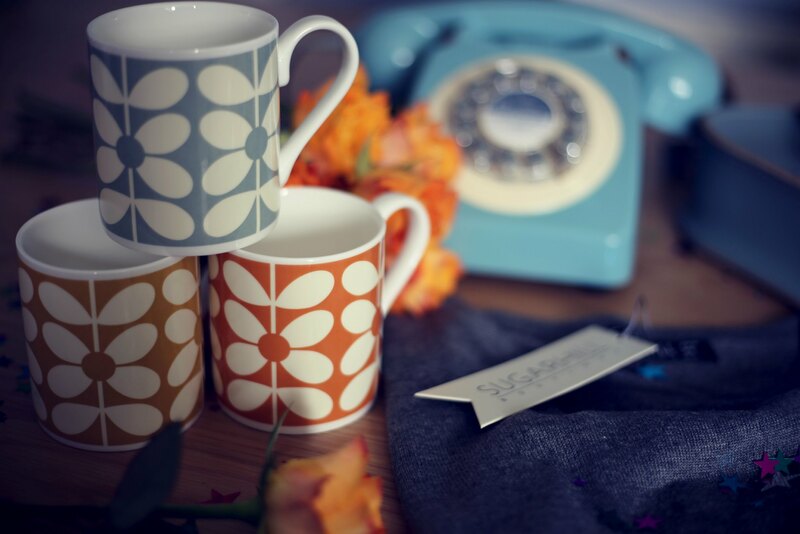 You will also win these quirky Orla Kiely china mugs with her signature sixites stem pattern, in orange, mustard and slate grey c/o Flamingo Gifts. The perfect mug for any kitchen! I already have a few myself but these three are on my wishlist! 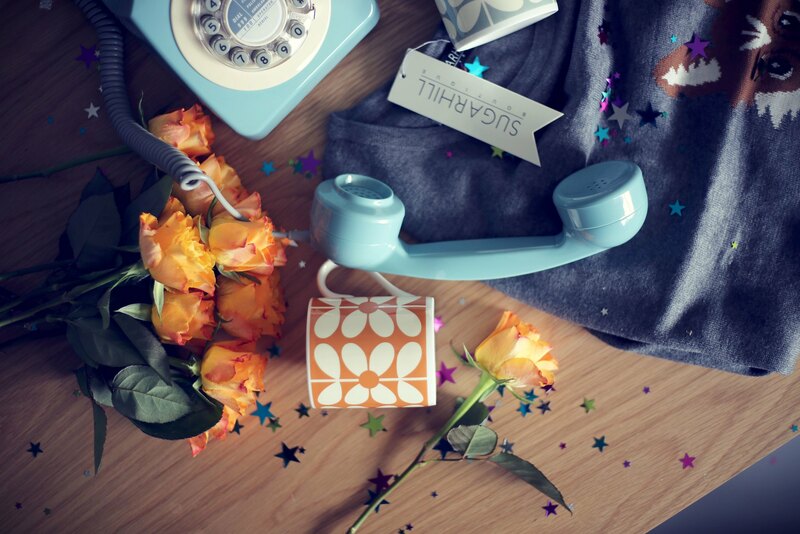 You will also win a retro french blue telephone by Wild and Wolf c/o Red Candy. I cant get enough of these phones, so much so that I have two in my own home! Last and by no means least, you could win this super cute fox jumper c/o Sugarhill Boutique. Soft, cosy and adorned with a fox, whats not to love!? 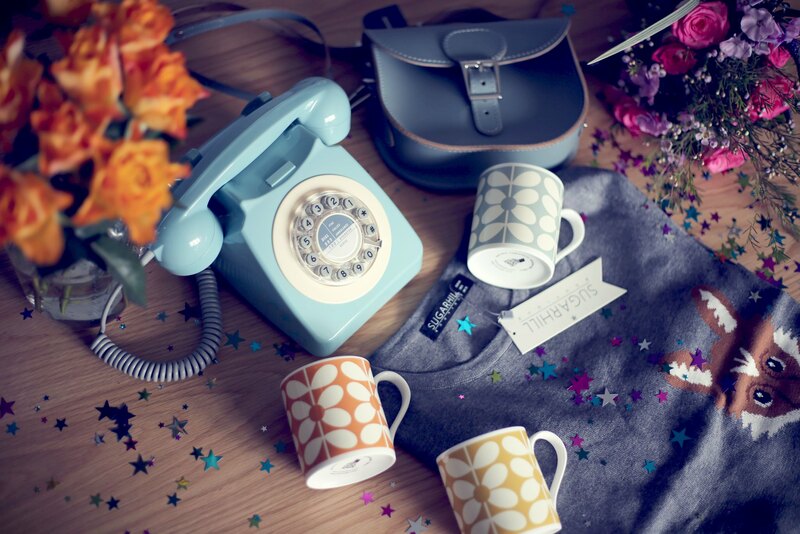 Ok so how do you get your hands on all these lovely goodies? Well there are many ways- you can do any of the following to enter and each one is worth one entry. So you can enter just once or four times in total. 4. Share this giveaway on instagram being sure to tag @themagpiegirl so I can track your entry! T's&C's: Due to the weight of the some of the prizes this giveaway is only open to readers within the UK & Ireland. You are eligible for one entry per platform (Twitter, Instagram etc). The giveaway will run for 4 weeks ending 10.04.16 when a winner will be chosen at random. The winner will be contacted within one week of the closing date. If no response is received from the winner within one week from the date of notification a new winner will be chosen. 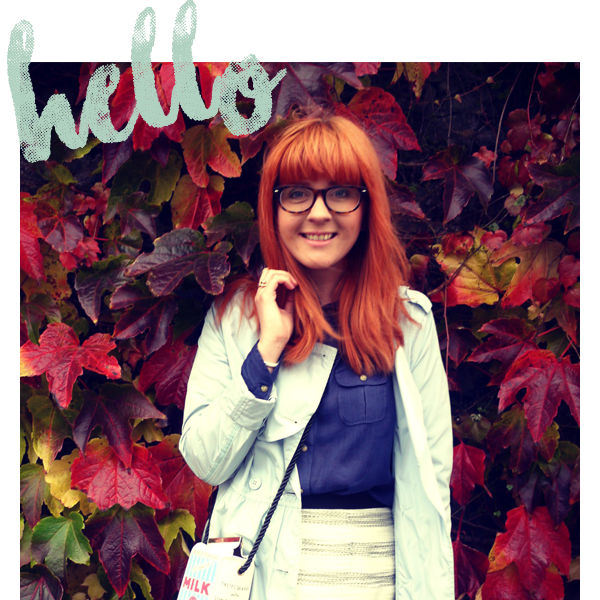 Have followed on Bloglovin, shared on Twitter, Facebook and Instagram. That bag!!!!! I'm completely in love with the shade!! Aww such a lovely giveaway! How very generous. Following via bloglovin. I've done 1 and 2 (https://twitter.com/accooohtrements/status/709434989293731840)! name is Sarah Pavlidis - not sure why it is unknown above! Have followed on bloglovin (haxel - Hazel Rea), have tweeted on Twitter (beach rambler), have shared on Facebook but the tag will not work (Hazel Rea). Lovely giveaway, thank you. Follow on Bloglovin' as Tracy Hanson.